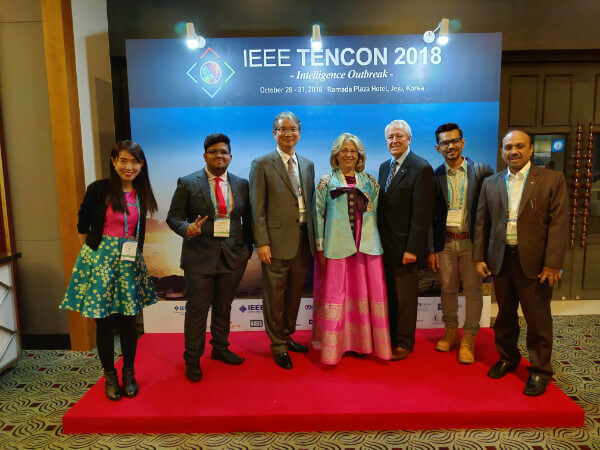 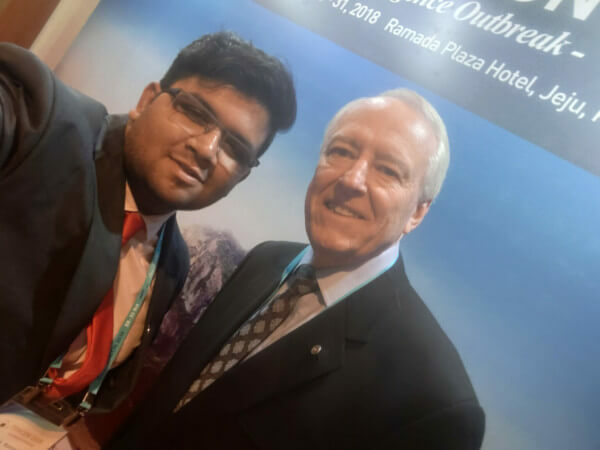 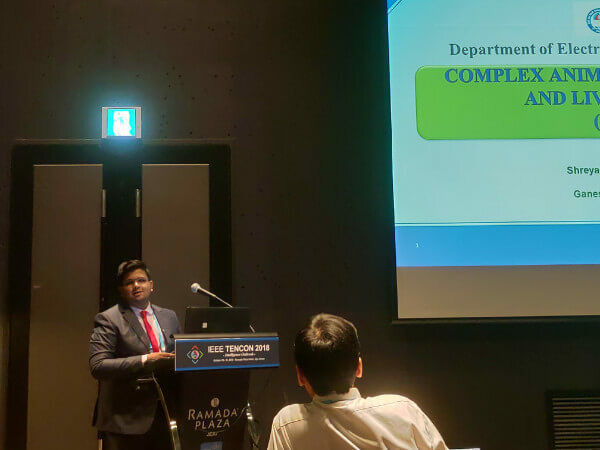 Home » Photo Gallery » Mr.S.Shreyas Ramachandran of 2014-2018 batch presented a paper “Complex Animal Movement Capture and Live Transmission” at the Annual IEEE Region 10 Conference “IEEE TENCON 2018”, Jeju Island, South Korea on October 30, 2018. 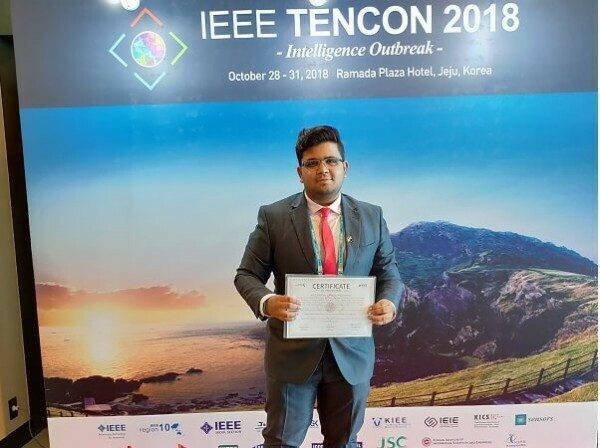 This research paper was co-authored by Soorya.S, Ganeshaanand B and Kaviarasan V of the same 2014-2018 batch. 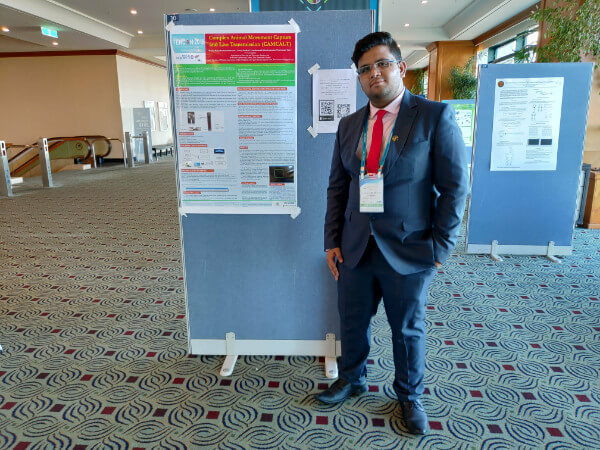 An amount of Rs.10,000 travel grant was funded to attend the Conference.